Number 136, Richard Brown from the Wester Hailes Education Centre. 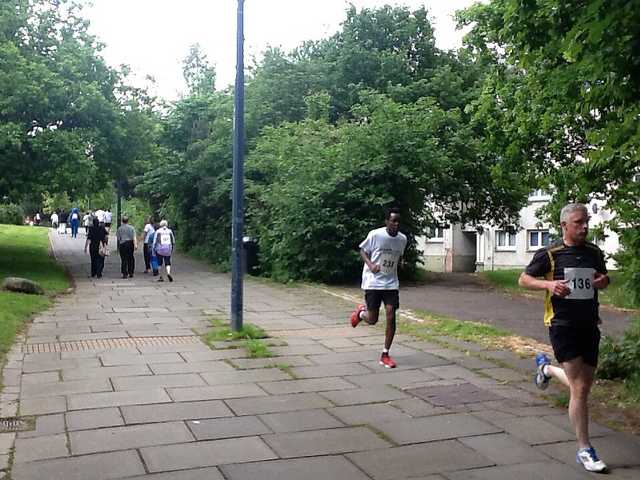 But for most people, the emphasis was on the fun of taking part and the achievement of completing the 5k route. Funding for the event came from the South West Edinburgh Neighbourhood Partnership’s Community Grants Fund. 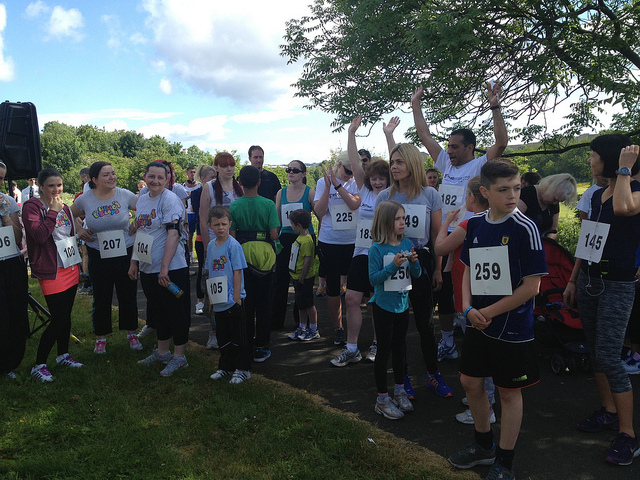 The Fun Run/ Walk was organised by a local planning group that includes Prospect Community Housing, Wester Hailes Health Agency, Wester Hailes Community Council, Clovenstone Community Centre, Active Schools, WHALE, Police Scotland, SCOREscotland, and CHAI. The idea to bring back the Fun Run was suggested here a couple of years ago when looking at the history of this event. 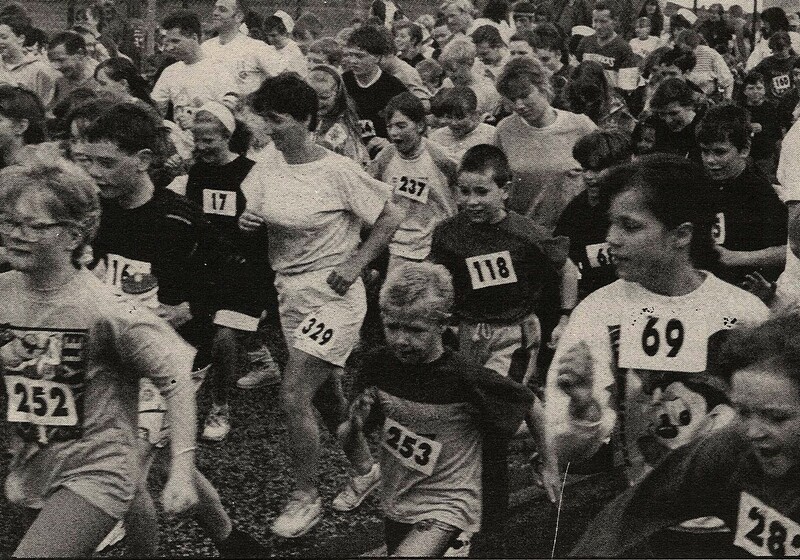 The original Fun Run started in 1983 and quickly grew as a community event with over 500 people taking part in 1992. Although the competitive runners took it very seriously, it was really about everybody taking part together and being involved in their local community. Sentinel photos taken of the run show that a wide range of people took part and that the event really promoted a sense of a community celebrating together. When local residents and organisations got together to re-launch the Fun Run last year, they wanted to include some elements of the original route, and some of those involved remembered how the event used to be organised which was very helpful in planning out the new run. But it was the sense of bringing people together that they felt was the most important aspect of the old Fun Run and they hoped that the new event could reflect this. In 2012, despite the heavy rain, there was a feeling that this was happening as those taking part said how much they had enjoyed the experience. This year, with a clear sky and sunshine, there was a great atmosphere but this was really generated by the people taking part who cheered each other on across the route. Those who completed the run quickly stayed on to support those finishing at a more sedate pace. There’s now a feeling that there should be something else in the park after the Fun Run to build on this sense of community celebration. 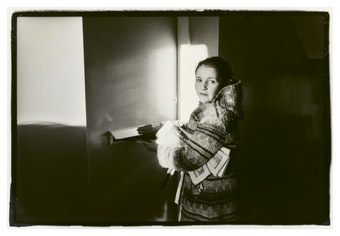 importantly photographs showing the range of people taking part and the involvement of the community. The 2013 Fun Run greatly benefited from the new Digital Sentinel who were there throughout the morning taking photos and interviewing participants. 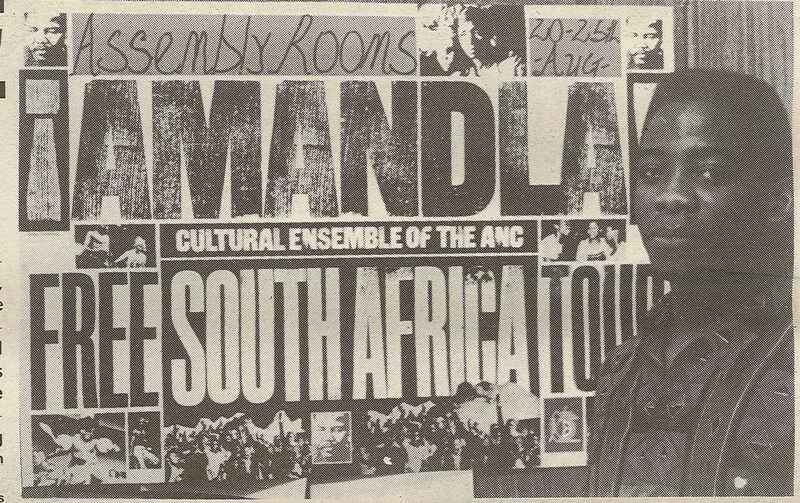 As well as showing what happened, this is an opportunity to build an archive for the future. It was seeing the old Sentinel photos of the Fun Run that really encouraged people to start asking if it was possible to start this event again. 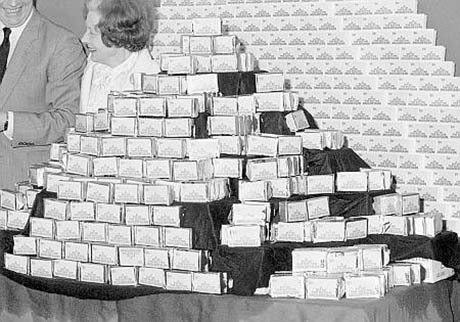 These sorts of archives aren’t only about creating a record of the past as a memory. They also have a role to play in shaping future ideas and activities through reflection on what can be learned from the past and adapted for the present. 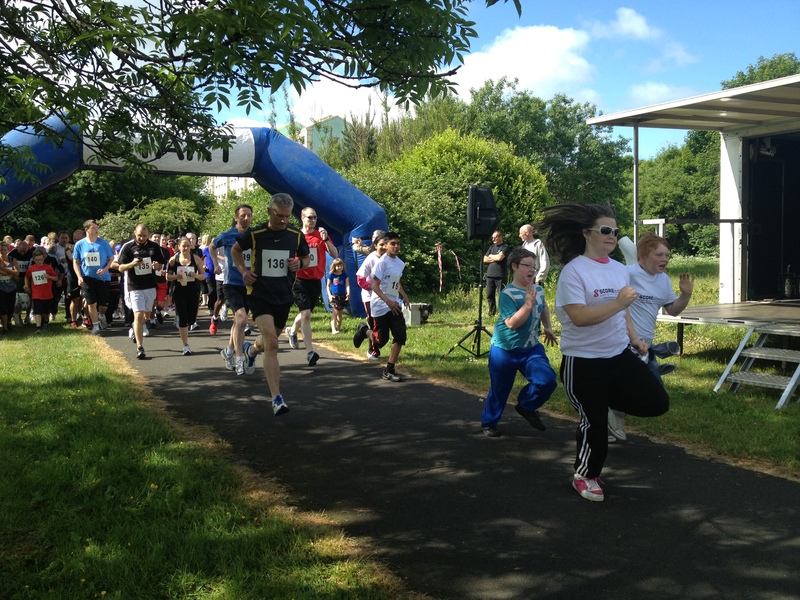 The 2013 Wester Hailes Fun Run was not a replica of past events, but it contained echoes from the past that helped shape its success. For more great photos of the 2013 Fun Run check out the Digital Sentinel’s Flickr site. Categories: history, people | Tags: community, health, Wester Hailes | Permalink. This was the conclusion of the Rep Council, reflecting on 20 years of the Sentinel in 1996. Over the last few years, we have regularly looked at the role theSentinel played within Wester Hailes in bringing together the community, representing its voice, and encouraging democratic participation. 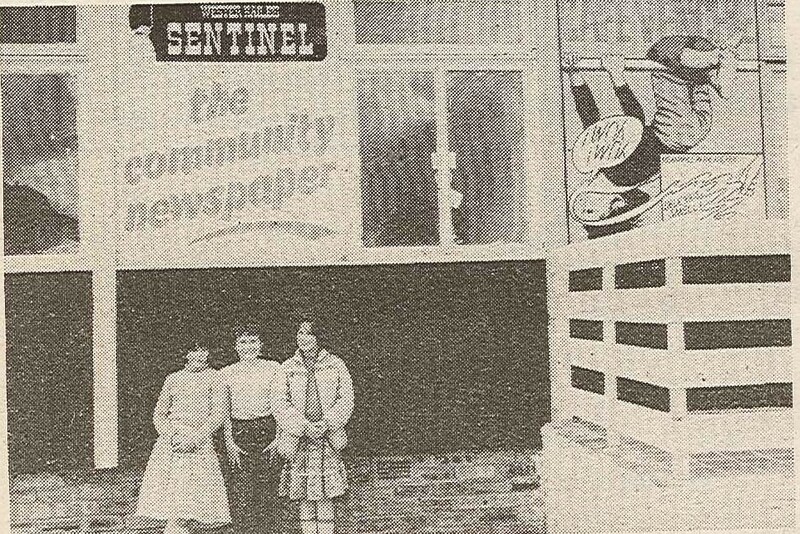 The Sentinel operated through print only during its lifetime but this was in common with many printed publications, and also reflected the relative lack of internet access within people’s homes in Wester Hailes even when the internet was growing in use as a media tool. 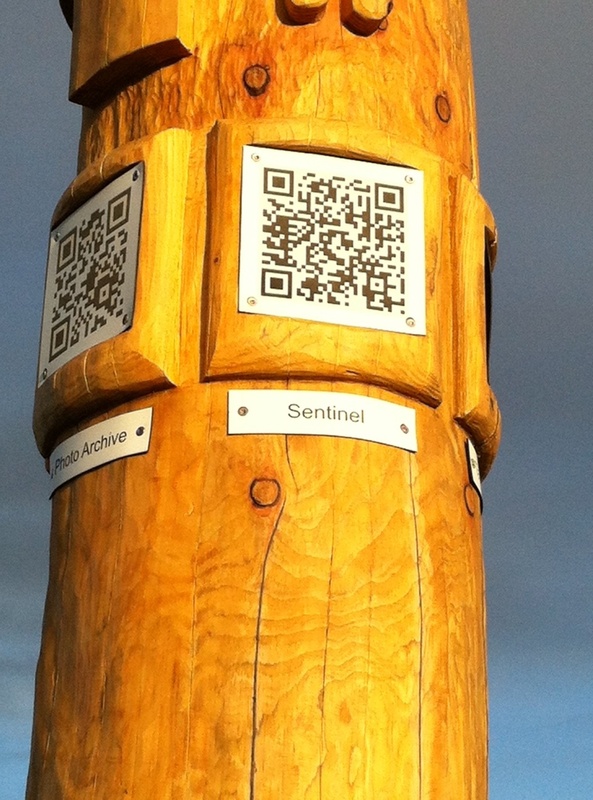 However, if the Sentinel was being set up today, it would undoubtedly have an online presence. Over the last few months, an exciting new project, the Digital Sentinel has been developing to establish a community news website for Wester Hailes, written and edited by local residents. A series of workshops has been enabling people to start gaining skills and experience in how to use a variety of formats such as Youtube and Flickr, uploading their stories, news and views using a range of digital technology. Now the emerging news agency has been recognised by the Carnegie UK Trust’s Neighbourhood News with a grant of £10,000. It is only one of five projects to receive funding after facing strong competition, and the only project to be awarded funding in Scotland. WHALE Arts Agency is leading on this project, representing a collaboration of organisations in Wester Hailes including Wester Hailes Health Agency, Prospect Community Housing, Wester Hailes Time Bank and the Wester Hailes Community Council. Together they have been working with academic research partners on providing access to online social history archives using QR codes, blogs and Facebook sites. It is one of a suite of projects under the banner “Our Place in Time” using digital media to provide access to archives and to tell the stories of Wester Hailes today. The funding will enable further training to support the recruitment and development of citizen journalists to take the project forward. 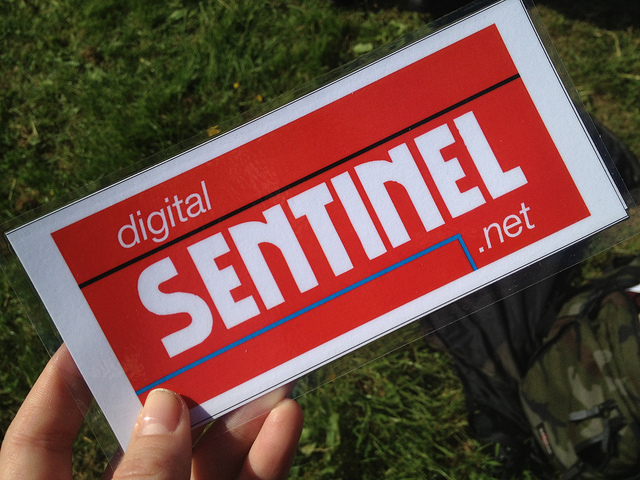 The Digital Sentinel may turn out to look very different from the old printed paper but it will be firmly connected to the values associated with the original publication. The experience of the Sentinel shows that above all, community news needs to be independent, locally based and locally accountable. 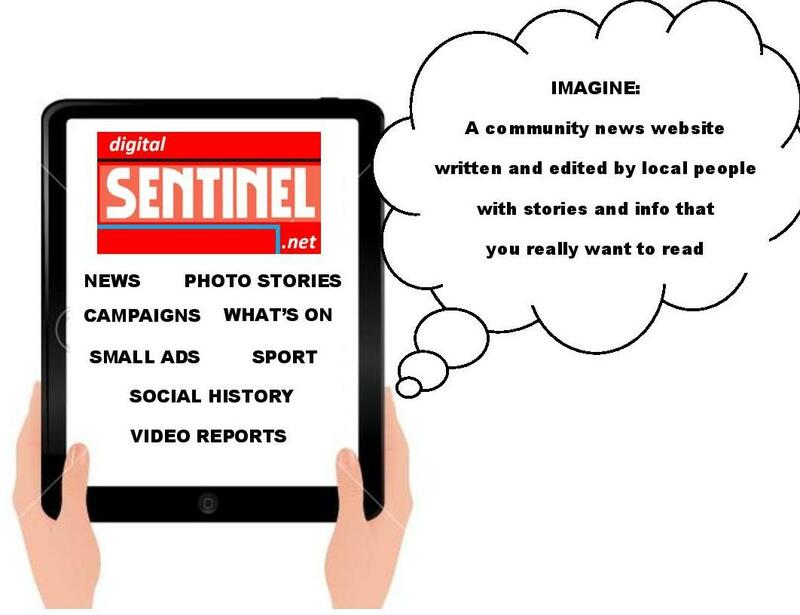 It is great news that the new Digital Sentinel will continue in this tradition in its aspiration to be community led, with residents trained as citizen reporters and content managed by community editors. The news will be produced by people within the community, with their own particular perspective. They will be able to cover stories that are not of interest to larger news agencies and with the hope of reversing the trend for negative media representation of Wester Hailes that continues to be an issue in sections of the press. And at the heart of the project will be the aim to continue the high ethical standards that the printed Sentinel set in its efforts to act as a unifying voice. 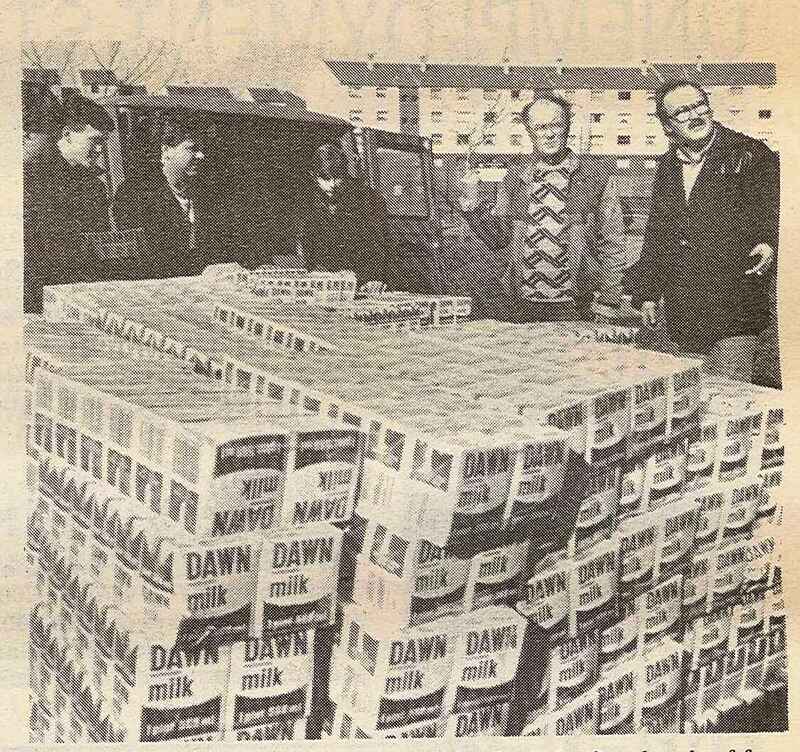 Categories: history | Tags: Activism, community, newspaper, Wester Hailes | Permalink. Wester Hailes has less than 50 years of history which means that long term trends evolving gradually over decades are not always reflected in the events and level of change within the community. One area which is a definite exception to this is the fast paced development of computer technology and IT skills. So much has changed so quickly that it can feel like we’re remembering a long bygone era when we look back at the size, shape, capacity and use of computers in Wester Hailes only a couple of decades ago. 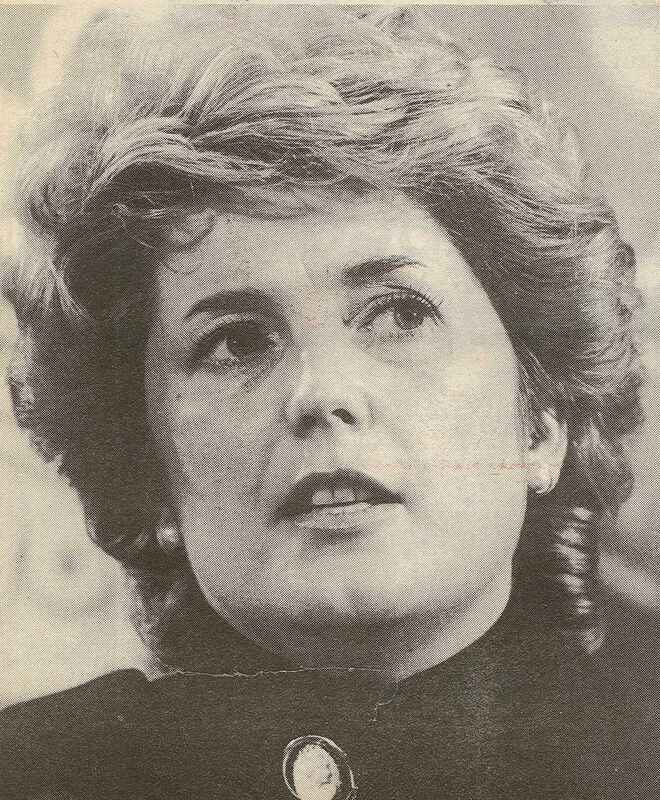 Back in 1981, the Sentinel reported that the WHEC had a suite of four APPLE II micro computers for public use. 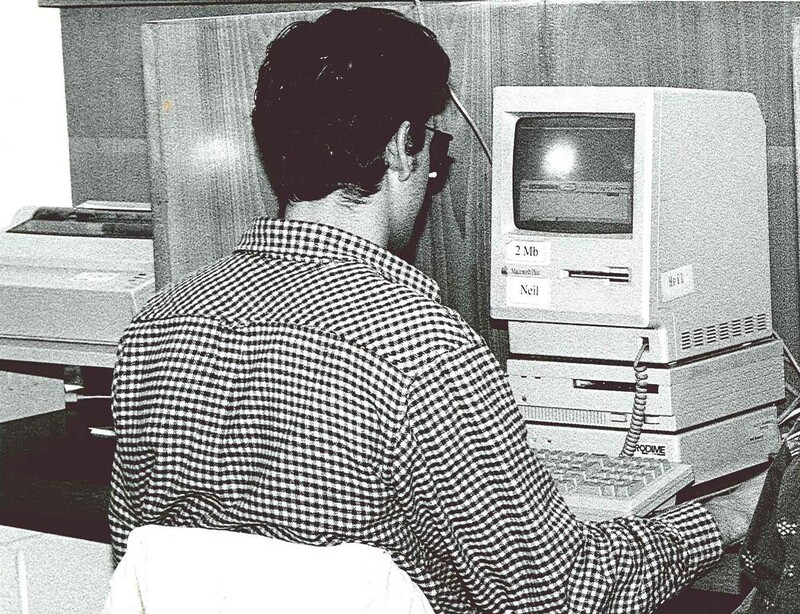 The micros had floppy disk drives, a printer and colour monitors. 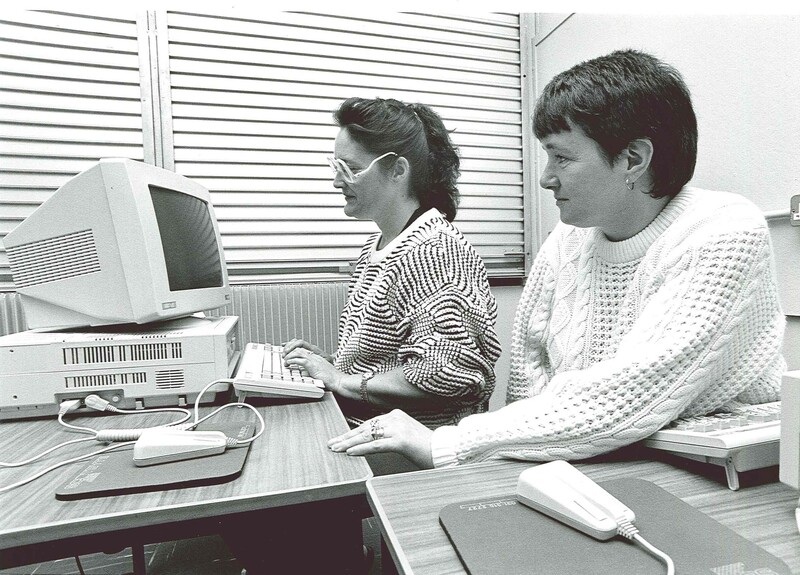 As well as offering bookable slots, the computers were also going to be used to run short courses, including practical sessions on BASIC programming and an introduction to computer graphics. You can read the article in full here. 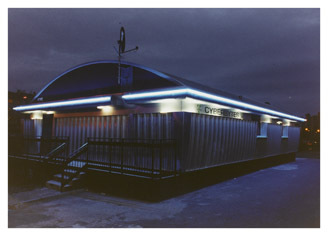 By 1997, Wester Hailes was the first council estate to have an internet café, Cyberbytes, established by the Young Tenants Support Organisation. As well as offering local residents access to computer training, the café provided cheap access to the Internet. 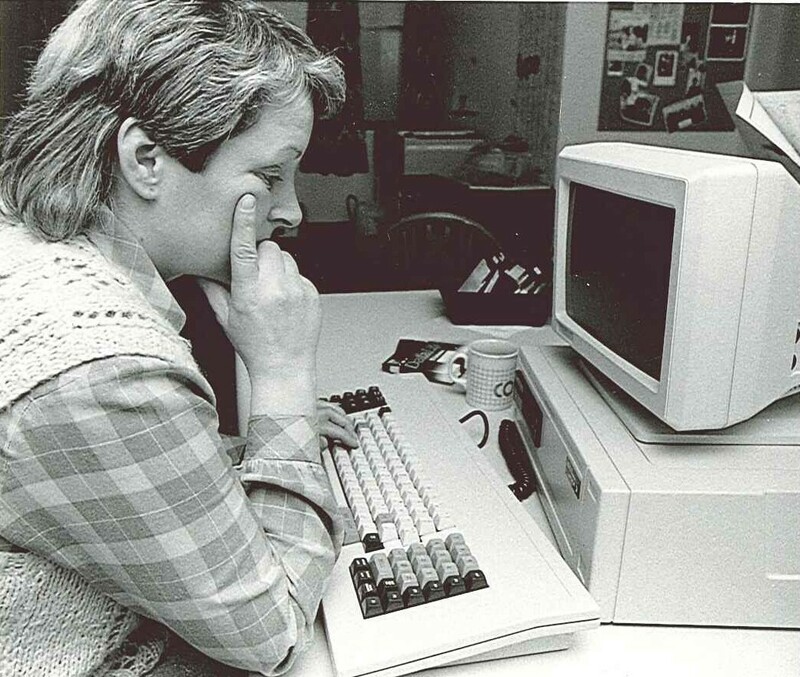 Although the Internet had been around since the late 1980s, it was still relatively difficult to engage with for many people particularly due to cost of use and a scarcity of computers within homes. 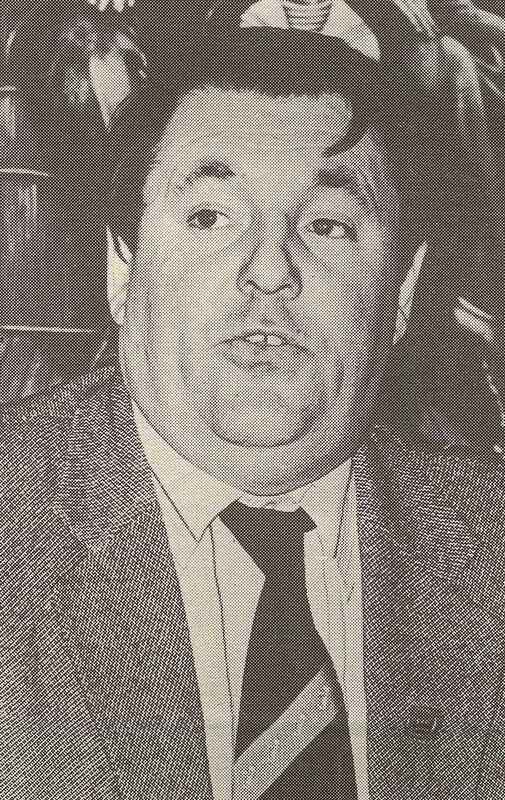 The Sentinel devoted its centre pages in April 1997 to explaining more about the Internet and its potential uses and benefits for local residents. IT skills became increasingly important as essential requirements for work, and training courses started to reflect this. In 2002, the new Learning Shop opened in the Shopping Centre and had 50 computers available for use. Courses on offer included word processing, databases, spreadsheets, presentation graphics and the internet. So if the Sentinel had still been around today, what would it have been reporting technology wise? Perhaps the rise of the smart phone and tablets, the power of Google or the explosion in use of social media such as Facebook and Twitter. Online communication is now a routine part of life for the majority. Whilst seeing images of now long outdated computers can make us realise how much has changed so quickly, the history of IT in Wester Hailes also shows the importance of trying to combat the digital divide. For although access to IT in the present day is now widely available, it is by no means universal. Digital exclusion still creates barriers and whilst sometimes this can be generational, the number of people facing digital exclusion is higher in areas where incomes are lower and more people are marginalised due to their circumstances. The provision of IT training over the years and facilities such as the Cyberbytes café was in recognition that people within Wester Hailes were in danger of being left behind with regard to computing experience and skills. Combating digital exclusion is now more important than ever as access to services moves increasingly online. One of the current known facts about the new controversial benefits system Universal Credit, is that applications are to be made online. For applicants who do not have access to a computer within their home, this will mean they need to book a computer at their local library, Job Centre etc. If they are not confident in using IT, a 90 minute application process may prove daunting and in some cases impossible. 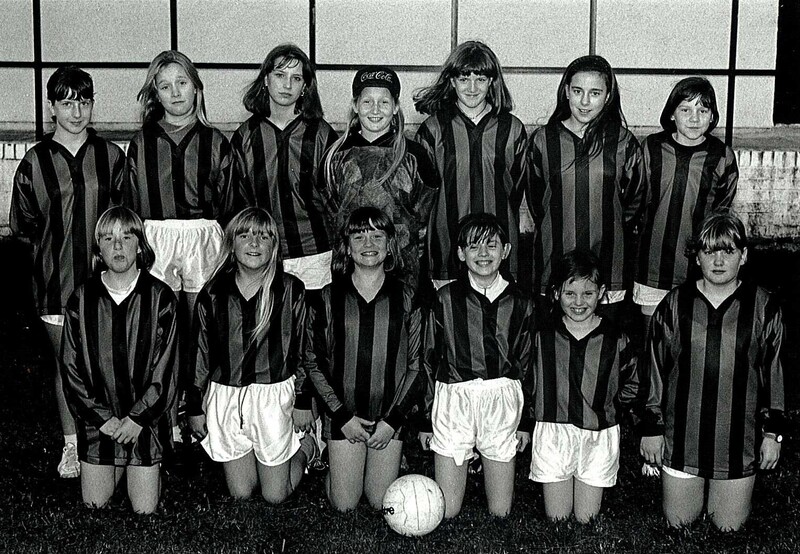 Wester Hailes led the way across the years with initiatives such as the internet café and the Learning Shop. Hopefully with new projects and resources, local organisations will still be able to ensure people in Wester Hailes gain the skills and support they need to get online. Categories: history, photographs | Tags: education, local economy, regeneration, Wester Hailes | Permalink.